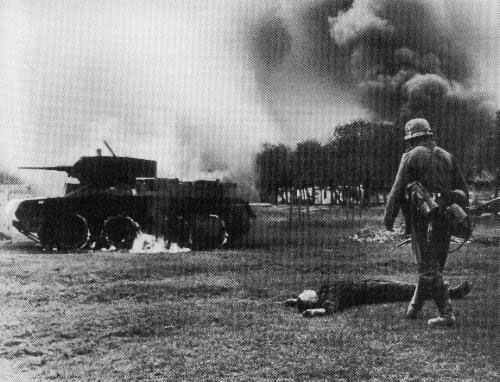 At the Eastern Front a German soldier is walking to a probably dead crew member of a knocked out and burning Russian BT tank . USA: Roosevelt asks Congress for additional defence expenditure of $4,770 millions. US Navy warns that entrance to San Francisco harbour has been mined.